Zagreb, and its hip startup incubator Hub385, were hosts to another Symfony meetup organized by several companies that are quite involved with this framework. Netgen, Locastic, Trikoder and web.burza are all common names in Croatian IT circles, and they are already quite involved in working on projects based on Symfony (using various platforms). Last week was the time to get some insights into where Sylius is, and, more importantly, where it plans to be in the near future. Its founder Paweł Jędrzejewski and other members of his team took stage to present Sylius, and they were joined by other Croatian companies sharing their experiences with both frustrations and positives of working with a such young platform (did anyone mention Magento back in 2008?). We learned a lot, but we also got a glimpse of the community, and the entire ecosystem growing around this new player in the eCommerce software market. What is Sylius and why is it interesting? Well, for one – it’s a rather new and lean (at least it hopes to be) eCommerce platform, based on Symfony PHP framework, with doctrine as ORM, database abstraction and uses TWIG for templating. The nature of it is that there are not that many merchants or projects that would fall into either of these groups, especially in well-established eCommerce markets. So, where we see the benefits of potentially using this platform are the markets similar to Croatian – smaller, growing markets with a lot of merchants still doing their baby steps when it comes to selling online. It appears as if the projects on Sylius should not be overly complex to set up, but at this time there is still an apparent lack of “extensions” if we are to use Magento’s terminology, on its marketplace (or out in the wild) to boost its feature set. The team behind Sylius is very young and enthusiastic one, open to suggestions from companies who got their hands on their products and used it to launch a number of websites, even before its first stable release. Pawel shares an interesting story of how Sylius came to be, from a custom built solution to power a family-owned cosmetics business to its rewrite on Symfony and current beta stage. They are actively seeking additional investments to speed up the process of getting it to its first stable release. And it is also nice to see the community in Croatia being very active throughout past several years (I guess it helps that the founding team is from Poland). Roadmap is, as is often the case with such software solutions, rather elusive 🙂 and features to go in and out from one release to another. However, they are putting a lot of effort in community and ecosystem development, and the response has been good so far – documentation is elaborate, translations are under way, contributions are welcome and, from what we were able to see, developers like working with it. So, what’s missing? A stable release and more live projects, of course, which sort of go hand in hand. How we see it, Sylius still needs to work a lot on its feature set, and presentation of it towards a broader public. Developers are the ones working on eCommerce projects, but they don’t usually make decisions on which platform a project is going to be developed. Decision makers respond to something else, and that is in most cases the value proposition. 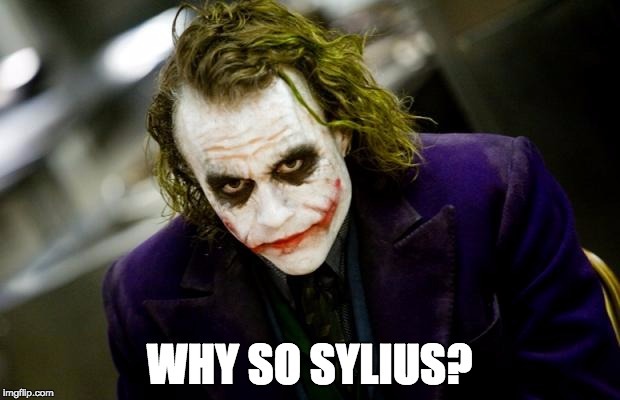 Sylius still has its work cut out for them in that area. Showcasing eCommerce projects using Sylius will be something to work on, and we will be paying special attention to how things are rolling out. We will also be looking at giving it a test drive soon enough, to be able to give a decent overview from behind the scenes as well. You can jump over to their demo pages (shop and admin) and check it out for yourself. Stay tuned for more news from the world of Symfony and Sylius, and in the meantime, let us know if you had any experiences with this software. And if you are looking for someone to help you plan and deliver your eCommerce project on Sylius, get in touch!. Do you think price comes into that in a big way?